Product prices and availability are accurate as of 2019-03-18 07:51:44 EDT and are subject to change. Any price and availability information displayed on http://www.amazon.com/ at the time of purchase will apply to the purchase of this product. Eastman's 5 ft. 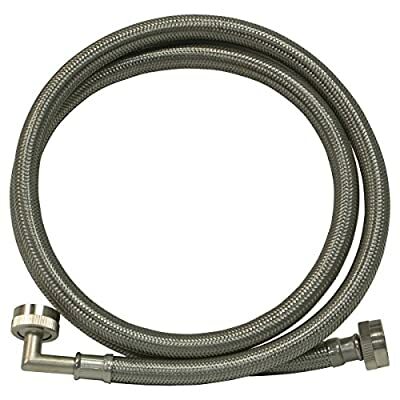 Stainless Steel Washing Machine Hose with 90 Degree Elbow is the standard in washing machine supply lines. Its quality is determined by what you can't see. 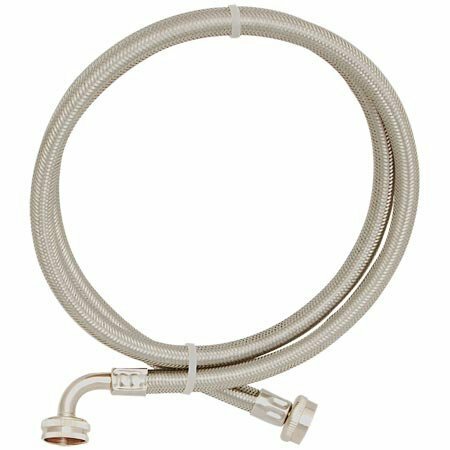 The supply line features a pvc core, multi-filament braided nylon reinforcement, a clear vinyl outer shell, and a grade 304 stainless steel braided exterior that is designed to prevent kinking and crimping. This flexible supply line resists corrosion and is easy to install.